A Tonk's Tail... err, Tale...: Clay Litter: bad for Kitties, Good for Nuclear Waste. Clay Litter: bad for Kitties, Good for Nuclear Waste. In other words, a canister of radioactive waste burst. You see, what's bad for kitties is good for radioactive waste. Old-fashioned clay litter, made from bentonite clay, is considered to be biologically inert. And it can absorb many, many times its mass. 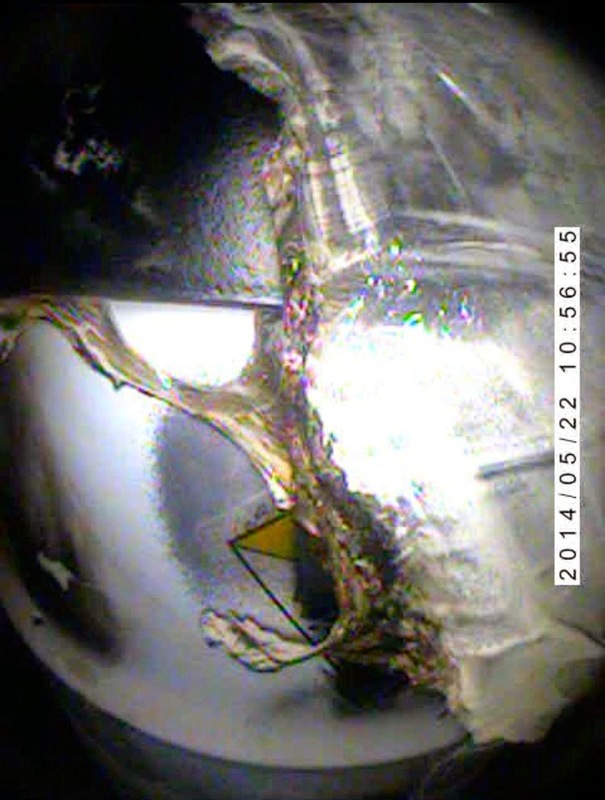 So, while it makes a not-so-good repository for kitty waste (read why we don't recommend it here), it makes a great insulator for radioactive waste. And it's been used for years to do exactly that: insulate canisters filled with waste like the one pictured at left. But in 2013, someone decided to "go green" and use a biodegradable corn or wheat litter to pack around that stuff, instead. Oops. Can you say "hot mess"? You do know why corn litter is called biodegradable, don't you? Because it's not inert. It actually breaks down into compost. And we suspect that may be what occurred here. 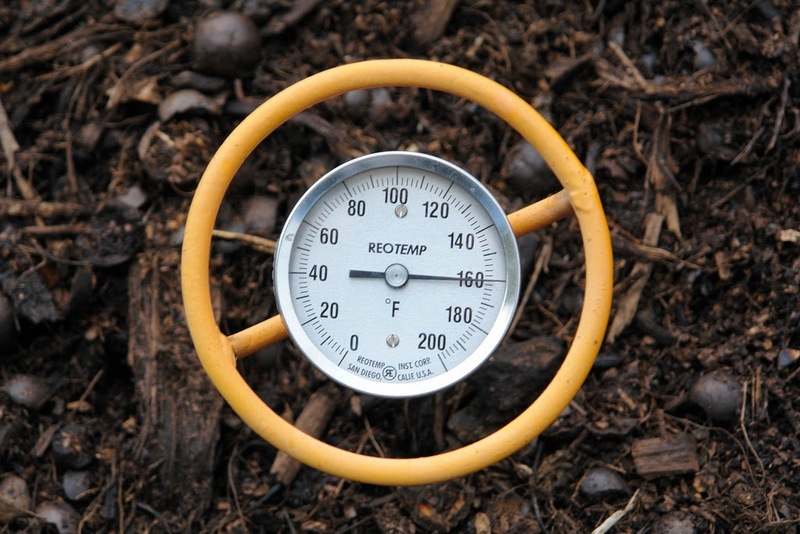 Anyone who has ever composted knows that heat is generated through the process. So what happens when corn litter is packed in a barrel of radioactive waste containing nitrate salts? Heat damage. Photo courtesy U.S. DOE. So the moral of this story is that it's not always a good idea to go green. 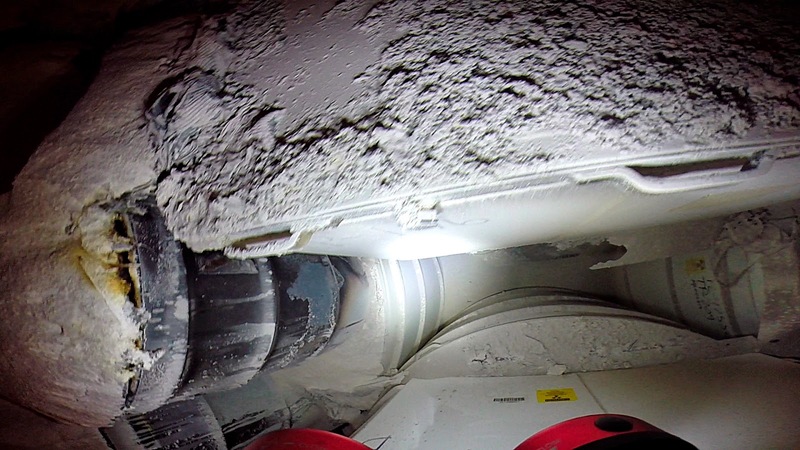 "Based on the May 15th visual inspection, the Department of Energy (DOE) has indicated that the radiological release in the Waste Isolation Pilot Plant (WIPP) underground did, in fact, originate from one of two transuranic (TRU) mixed waste containers. The containers in question contain nitrate salts, which DOE postulated may have been the source of the release. As soon as DOE suspected that a container with nitrate salt mixed with organic kitty litter may have been the source of the release, the Environment Department required DOE to take immediate action to isolate and secure all nitrate salt bearing waste containers at WIPP, LANL and WCS. Following the receipt of the most recent evidence from DOE, NMED issued an Administrative Order to DOE / Los Alamos National Security (LANS) yesterday to ensure implementation and documentation of all protective measures being taken to secure nitrate salt-bearing waste containers at LANL. NMED issued this second order today to WIPP to ensure that DOE / NWP submits an action plan to sufficiently secure nitrate salt-bearing waste containers by expediting the closure of portions of the WIPP underground including Panel 6, which contains 313 nitrate salt-bearing waste containers and Panel 7, Room 7 which contains 55 nitrate salt-bearing waste containers." Ashton: I could have told those radioactive people that using the wrong kitty litter could lead to a toxic situation. I have to share litterboxes with with two mancats, and I would hate for the wrong litter to be used for them, too. Wow, this was an interesting and somewhat entertaining post all in one. I have to share. Wrong type of litter LOL and not always good to go green! Well I never. Have a great Memorial Day and a marvellous Monday. Wow....we didn't know that!!! ...we can't help but giggle at Sometimes Cats Herd You's comment!!! haha! I still uses clay...clumping...Mom sez I has litter box anxiety (I cries sometimes,been doing dat since a baby and repeatedly tested and nothing wrong medically.). So she worries about trying someting new, so we verrry interested in all your litter posts. Scary about da nuclear waste info...tho mom kinda laffed out loud and muttered someting about MY nuclear waste.(?) Tank yoo for da info! Very interesting facts and I had no idea. Sometimes tried and true is better. I saw that item in the news and love how you explained the issue here. Dumb humans - can't even tell the difference between inert and biodegradable. Ha! Yes wees don't like or use da clay eevew. Wees use da SwheatScoop. Is much bettew fuw kittys. Hi guys! We are just now getting caught up on posts since our Mama recently came home from her travels. We wanted to tell you that our Mama loved meeting your mama. Your Mama is sweet and special! More proof that newer is not allus better! To answer your question on my blog, the header font is Oregano - I found it at Google Fonts. Well why am I not surprised ??! !